Climate change is a result of culture in the widest sense, the way in which humans live on the planet – the arts and the practices of artists are an expression, a reflection and a shaper of this culture, currently a culture of unsustainability. We see an opportunity for artists, designers and creative practitioners working across all disciplines (including performing arts, visual art, socially engaged and community practices, literature, film and screen, design and craft) to share their skills, knowledge and perspectives to not only address environmental sustainability, but also change the way we interact in society – thus re-imagining the culture and embedding sustainability within it. 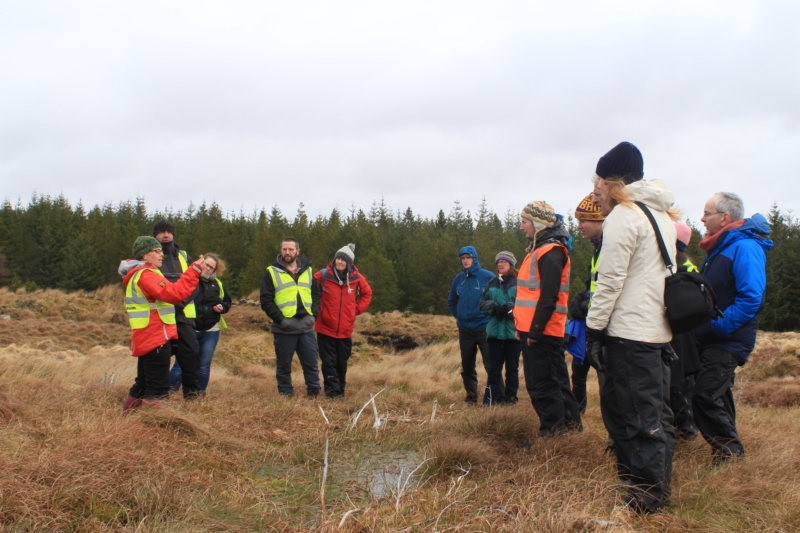 Levenmouth Adapts: an eight month project in Levenmouth, Fife to promote climate ready decision making in a way that incorporates community interests and champions the value of creative approaches to bring about change, run in partnership with Adaptation Scotland and Fife Resource Solutions. The Embedded Artist Project: working with American civic artist Frances Whitehead and local partners, we are seeking to develop a series of projects across Scotland which embed artists within urban planning and development processes. So far we have run seminars in partnership with Frances and colleagues at Duncan of Jordanstone College of Art & Design (DJCAD) in February 2017 and North Edinburgh Arts and the Edinburgh Art Festival in August 2017 with policymakers, sustainability and cultural practitioners. Events within our Green Tease programme including a culture/SHIFT season in March 2017 and Gathering Forces – Working Together for Change run in Hawick in August 2017. We are in the process of developing a second linking event in partnership with ClimateXChange and Sniffer/Adaptation Scotland. We are keen to continue building on the positive partnerships already instigated through culture/SHIFT, particularly with those working in the areas including urban planning, environmental management, sustainable development and climate change mitigation and adaptation.